You are always looking for special destinations to do your photography passion. Take a journey designed specifically for those who have the same passion for photography - Sapa Photography. A chance in life to get priceless pictures of Sapa pristine. A magnificent landscape of gorgeous waterfalls, or unique terraced fields. The journey for those who are looking for a place to shoot unreal photos of the people or sceneries. Through the camera lens you will have an incredible view of the Northern Mountain City. Photography experiences are unique when visit some wonderful locations along with a group of like-minded photographers whilst being accompanied by one of our local hill tribe guides who are experts at getting you to the very best places at the best time of day for the best shots. A picture taken from a Bac Ha fair will be your invaluable asset during this Sapa Photography. Put yourself in the highlands market every Sunday, a colorful landscape show up before your eyes. From the distance record the scene of the market, the girls hmong hovering on the traditional colorful clothes to make your mood more excited. Or the trading sessions, the price of the Hmong girls participate in the market, the rich items are brought to the market to exchange. From foods used daily in meals, to personal items, jewelry, animals such as pigs and chickens are also brought to the market. people, goods, animals all of them create a picture of the bustling high market, colorful. 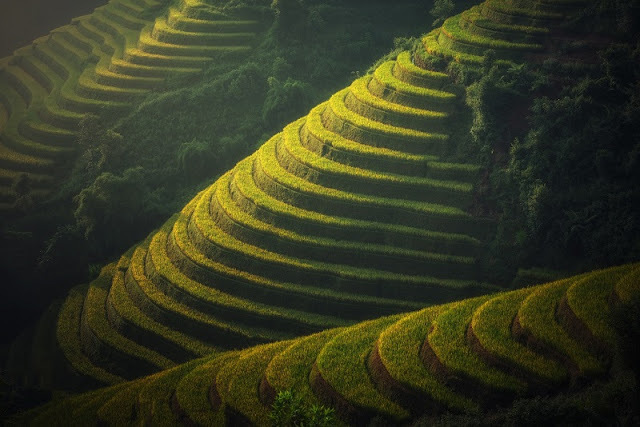 Get the real taste of Sapa through its hauntingly beautiful rice terrace, resulting in a spectacular display of greenery against a mountainous backdrop. 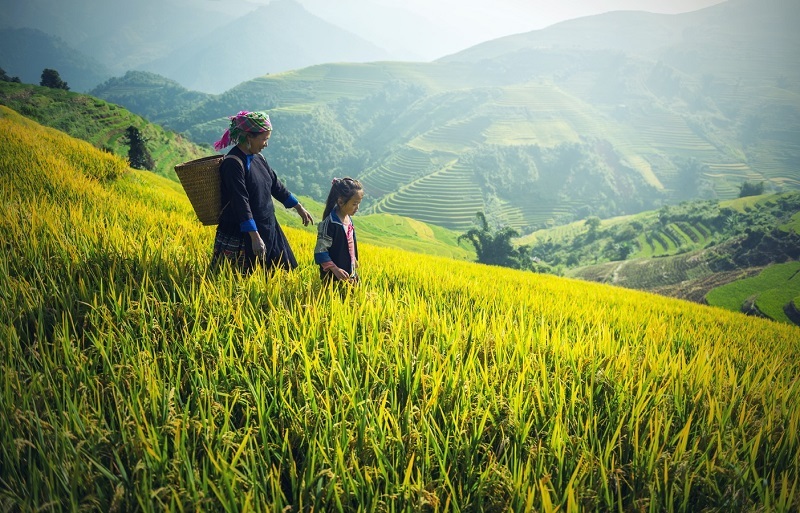 Located in northwest Vietnam, the fields are photogenic all year long but the best time to visit is between September and October as the cool climate allows for a comfortable day of trekking and photoshoots. We highly recommend shooting from Tram Ton Pass (about 15km from Sapa Town), as it offers the highest vantage point of Sapa rice terraces and surrounding villages. Best time for your Sapa photography tour is at the end of August and beginning of Sep when the rice paddy fields turn yellow like endless silk paths. Sapa rice terraces are top wonder of nature created by the local ethnic people that they have to hard work from generation to generation. The marvelous photos of Sapa terraced rice fields do not only reflect its beauty but also the whole life of remote hill tribe villages around the mountains. What to expect when going trekking in Sapa? 2 days in Sapa you experience what? What is northern Vietnam attracting tourists? Enjoy the gift of winter Hanoi: Sandworm? Why Halong & Sapa tours are special? Heading to Mai Chau - another planet of Vietnam!